But the passing of the California Consumer Protection Act (CCPA), Europe’s General Data Protection Regulation (GDPR), and other proposals indicate technology companies will continue facing scrutiny from U.S. lawmakers for their handling (and mishandling) of consumer data. 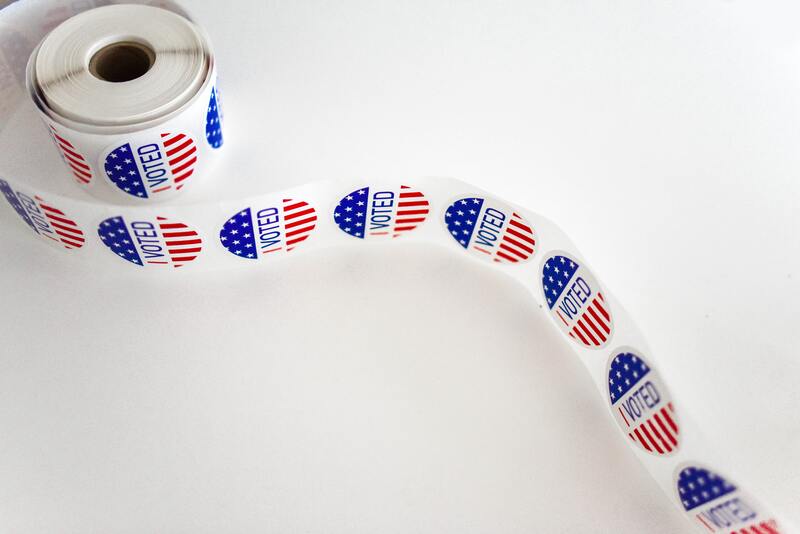 In this blog post, we summarize some of the top headlines related to technology and security in U.S. politics today, as well as the implications of the midterm election results. Who was elected and what does it mean? Senator Marsha Blackburn (Tennessee): Blackburn was in the House before moving to a Senate seat in the new election. While in the House, Blackburn was supported by telecomm companies and has long opposed net neutrality. Senator Josh Hawley (Missouri): Hawley went after Alphabet, Google’s parent company, while attorney general of Missouri. Notably, his campaign was heavily backed by Peter Thiel, who is not a friend of Google. Now that the Democratic party has taken control of the House of Representatives, Senator Adam Schiff is expected to take on the role of chair of the House Intelligence Committee. Earlier in the year he called for more regulation of tech companies, including Facebook, while serving on the same committee. In October, Ro Khanna, a Democratic Congressman representing Silicon Valley, released his proposal for an “Internet Bill of Rights” consisting of 10 principles designed to inform net neutrality and data protection legislation moving forward. Some of the principles read as a direct response to the data privacy scandals of late (e.g., Cambridge Analytica, Verizon’s unlawful tracking of consumers, and the Equifax data breach) while others are designed in the spirit of Europe’s GDPR, and grant consumers more autonomy over how their personal data is collected and managed by businesses. Now that Democrats have taken control of the House beginning in 2019, many of these principles will likely serve as the core of new laws designed to reign in the technology companies that have sucked up consumer data, at times unscrupulously. Striking a balance between maintaining the well-networked, personalized tech experience consumers expect with enhanced privacy and security measures is a challenge facing Congress and technology business in the coming years. Right before the midterm elections, Oregon Senator Ron Wyden proposed a bill for the Consumer Data Protection Act, which takes enforcement of data protection to the next level. The bill advances beyond the data protection rules introduced in that state-level CCPA, and mirrors GDPR with many of its principles (i.e., consent for data collection and data minimization) but calls for even sharper penalties for executives of companies that violate consumer data laws. Experts posit that the bill is unlikely to pass, given its sharp teeth; executives found to be in violation would face jail time. Elections don’t provide a crystal ball into the future, but based on the results of the midterms and some of the new legislation being proposed, we predict the 2019 House of Representatives will propose even stronger regulations for consumer data protection over the next two years.